The deplorable Anne Frank situation on 22 October 2017 where certain members of S.S. Lazio's Ultras left stickers with Ms. Frank's image superimposed on an AS Roma shirt in La Curva Sud (Roma's traditional ultra section at the Stadio Olimpico in Rome.) Lazio's ultras were banned from their own Curva Nord area due to previous racist chanting. This game did not involve AS Roma. S.S. Lazio were playing Cagliari in a Sunday night game (won 3-0 by the Roman side). 1. Concise background of the Italian Ultras. 2. Lip service by Italian football authorities. 3. Power of the Ultra bosses. 4. My recommendations how to end this once and for all. 5. Selected quotes by Anne Frank from her diary. Banner translation: "Auschwitz is your country. The ovens are your homes." They are hard-core "fans" who sit in very specific sections of stadia called "Le Curve." At the Stadio Olimpico in Rome, these sections are known as "La Curva Nord" (S.S. Lazio) and "La Curva Sud" (AS Roma). Ultras have close ties with club teams and often receive the tacit approval of some team Presidents. They have been a part of Italian calcio for decades; however, the minority of them wield significant power and often create racist, xenophobic and anti-semitic events as was seen two days ago in Rome. "Irriducibili" refers to the most hard-core element of ultra groups. "Romanista ebreo" means "Jewish AS Roma fans." "Romanista frocio" is a homophobic slur aimed at Roma fans. As long as the powers that be in Italian football allow certain elements in the Ultra groups to exercise control and power, nothing will ever change. They can read passages from Anne Frank's diary or Primo Levi's literary works before games (the case tonight at the San Siro with Levi) as an act of penance. They can promise to "educate" their fans about tolerance and history. They can make visits to Roman synagogues to express solidarity. They can "disassociate" themselves from those who spread this type of visceral hate as Mr. Claudio Lotito, the President of Lazio, did today. But will these attempts solve the underlying problem? This was the latest in a long line of racist and/or anti-semitic incidents specifically involving Lazio. But other Italian clubs have blood on their hands for the same reasons. Primo Levi was a Holocaust survivor who grew up in Turin, Italy. He was a major voice in Italian and international literary circles. He was the author of many books including his seminal autobiographical works, "If This Is A Man" and "The Truce." I'm reminded before the Coppa Italia (Italian Cup) final from May 2014 when an Ultra capo (leader of an Ultra group) was "negotiating" with Marek Hamsik of Napoli in a caged-in area. No professional player should be subjected to such treatment. In full view were the elite VIPs of Italian football that night in Stadio Olimpico in Rome: Presidents of Napoli and Fiorentina along with the Italian Federation, respectively. It sent a clear visual around the world: Ultra bosses have power over an important game such as a Cup final. 1. Learn from the English who removed hooliganism from their grounds. Their model ushered in the global sports juggernaut that is the English Premier League. Italian football authorities need to ask them for help and how to create a long-term plan. Italian managers routinely export their services to England. It is time for English experts to teach the Italians how to remove a serious scourge. 2. Zero tolerance. Ban clubs from the league itself and any European competitions. No more playing X amount of games behind "closed doors." No more slap on the wrist types of fines by the Italian authorities. Banning certain members of Ultra groups will not stop this type of behavior. Clubs themselves must pay the ultimate price for the ignorance of certain fans. Yes, this will hurt the majority of law-abiding, genuine supporters; however, do you have a better idea given the long history of this issue in Italian football? 3. Italian calcio will never become a global brand, or even come close to the English, Spanish and Germans, until racism, xenophobia and religious intolerance incidents that occur with regularity are eradicated from their stadia. After last Sunday, Italian football only reinforces its poor image abroad. 4. Until Italian club Presidents, their shareholders, and sponsors wake up, feel the pressure financially, and finally say "Basta," nothing will change. It's quite simple: If you want an Ultra boss to have control over your club, determine what is seen and/or left in your stadium, then you have no business calling yourself the President. Whether it is Signor Lotito or any other Serie A owner. 5. The American ownership at AS Roma, along with the new Chinese management groups at AC Milan and Internazionale, respectively, bring in different sporting mentalities. Mr. James Pallotta, the President of AS Roma, has courageously made many public statements condemning the power and influence of certain Ultras. He needs his ownership colleagues in Serie A to join him. "Writing in a diary is a really strange experience for someone like me. Not only because I’ve never written anything before, but also because it seems to me that later on neither I nor anyone else will be interested in the musings of a thirteen-year old school girl. Oh well, it doesn’t matter. I feel like writing." "Women should be respected as well! Generally speaking, men are held in great esteem in all parts of the world, so why shouldn’t women have their share? Soldiers and war heroes are honored and commemorated, explorers are granted immortal fame, martyrs are revered, but how many people look upon women too as soldiers?" "It’s difficult in times like these: ideals, dreams and cherished hopes rise within us, only to be crushed by grim reality. It’s a wonder I haven’t abandoned all my ideals, they seem so absurd and impractical. Yet I cling to them because I still believe, in spite of everything, that people are truly good at heart." 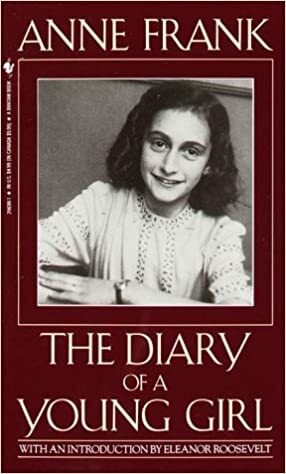 "Anne Frank: 10 beautiful quotes from The Diary of a Young Girl"; The Guardian; 27 January 2015; Laura Tscherry.